Thinking Of You Woe Bear-8"
Woe Bear is 8" tall and wears a sweet, loveable expression on its face. It is adorably packaged in an open-access gift box with a "Thinking Of You" sentiment written on the top. Woe Bear is constructed with top quality materials and lock washer eyes and nose for safety, ensuring durability and long time enjoyment. Free gift wrapping and a free gift message are included to help create a thoughtful presentation. 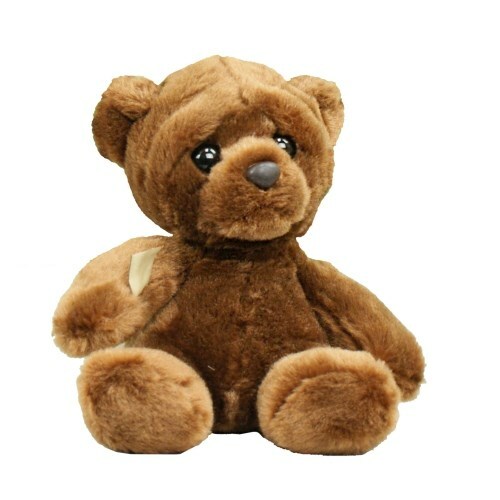 Additional Details Look through all of our get well plush animals to find the best one for your loved one.